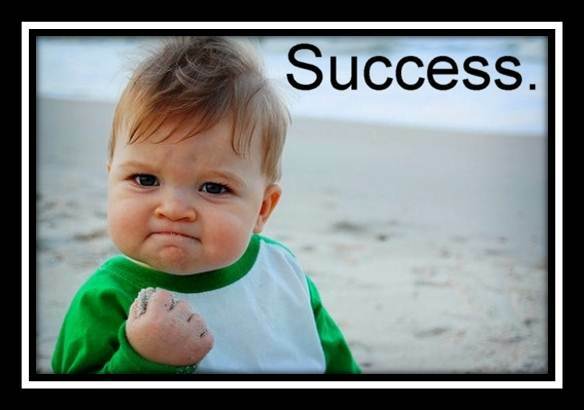 Week three in the New Venture Challenge has seen mixed successes. With only 3 days until we do our first ‘elevator’ pitch, we have a venture to focus on, the (nearly) completed research to build it with and a plan of action. It’s starting to feel like it’s going in the right direction. After a thoroughly unsuccessful attempt to meet virtually, we delayed the vote a further 2 days. With time ticking on, I hoped our early Saturday morning virtual meeting would be pretty straightforward, with an obvious favourite. I couldn’t be more satisfied with the result. With 5 of the 6 turning up, Option B’s team (see Week 2 Diary for more information) delivered our initial ideas and arguments first. It went well, with Jamie doing the bulk of the research and building a strong picture. He delivered the proposal and between the three of us we fielded questions and elaborated. To my surprise it was agreed this was the best option without even looking at Option A. I’m a little sceptical, we’d certainly put more effort into building the case for Option B, and it felt like Option A’s team perhaps hadn’t been so diligent. Or maybe Option B really is that good. So we have our venture, and from the work already done, it’s appears a pretty sound idea with a strong and focused direction. It all went much smoother than I thought it might. We’re encouraged to use the Opportunity Business Model approach to articulating venture ideas rather than the more structured and standard Business Plan. 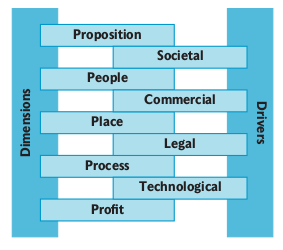 The Opportunity Business Model provides a description of the key dimensions (Proposition, People, Place, Process, Profit) and drivers (Societal, Commercial, Legal, Technological) that underpin any new business idea and enable it to be exploited in an enterprise (Blundel, 2011, p.40). Proposition – What is the core value proposition, as perceived by the customer, of the opportunity? This could be expressed as a mission statement but needs to be clear and concise. People – Who are the leader, management team, and network of advisors, customers,suppliers, and stakeholders? How does social capital and networking support the business opportunity? Place – Where is the market? Who are the customers and competitors? This could involve analysis of market and industry to identify segments and gaps. Process – How is the enterprise structured? What are the key processes and relationships?How will these be enabled and supported? What role does information technology play? Profit – Why do it? What are the real returns? Financials, gross profit, net profit, forecasts, KPIs, and capital required. Is there a social return? This might also include a consideration of the ownership structure and exit strategy. Societal – Wider global, social, political, and environmental factors, such as climate change, energy, ageing populations, fair trade, and antisocial behaviour. Legal – Legislation, rules, and regulatory requirements. Typically set by governments and consortia. Such as data protection law and trade associations. This does provide a degree of flexibility, which is very apt to the dynamic economy we’re in, and does allow you to think more about how the environment may change and how your venture might adapt to those changes and seize opportunities when they arise. Saying that, it does feel a little wishy-washy to me; there’s a lack of structure which feels directionless. The business model attempts to sum up the wider entrepreneurial environment which, perhaps, indicates the manoeuvrability that a venture may have to expand and adapt to the market. It’s not unlike a PESTLE analysis, which is fine for doing what it’s designed to do (i.e. understand what’s going on around you), but doesn’t really demonstrate what that impact might be as you get in a Porter’s 5 Forces model (Post here); or how you’re going to deliver on your proposal: What are you going to actually do to deliver this venture? Having now worked through the Opportunity Business Model, I can see it having a place. It certainly helped expand the thoughts about the product, but there’s still needs to be a plan, a clear definition of how provided that would be explained in the Business Plan. The days leading up to the venture presentation have been getting a little frustrating. On three separate occasions there’s only been me and one other person getting to the online sessions. I understand everyone is busy and have inconsistent access to internet, but three times? I’m starting to think no-one likes me. This is probably a pretty realistic problem that all venture teams have to deal with, especially where people have full-time jobs elsewhere; people are busy, remote team working is difficult, it’s even worst when people are travelling. I do feel like there is an increasing burden of responsibility on the few; pulling everyone together, setting up file sharing systems, putting pen to paper, directing workload (where possible) and doing the research. One of the important elements of a good entrepreneurial venture is have a quality team behind it, with a range of skills and even a range of different viewpoints (citation needed). There’s certainly different viewpoints in this team, and we’re starting to identify the different skills within it. So far we appear to have a little technical skill, accountancy/financial expertise, a little marketing knowledge, co-ordinators and grafters. Getting them all to work together probably just needs a leader now. Blundel, R.K. and Lockett, N. (2011) Exploring Entrepreneurship: Practices and Perspectives. Oxford, Oxford University Press.